local Buller District Council to allow their usage of land near the North Beach for a Speedway track. Originally planned as a larger track the eventual size of 296m has since proved popular for the smaller open wheel vehicles and solo bikes. of the lower population base and economic factors in the Buller region. 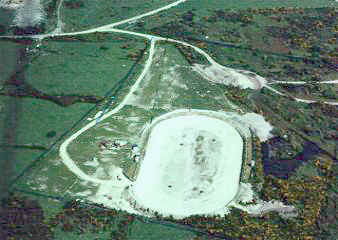 In 1997 the Club became the only Division Two track to ever be given a national title to run, that of the 1997 South Island Solo Bike Championships, which was run as a bike only meeting and the Club proved once again that they had the expertise, friendliness and confidence to run an extremely efficient and trouble free meeting. Meetings can be intermittent. Can anyone supply more info?? Currently run the following classes.